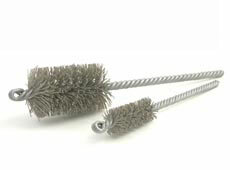 Brush Research Manufacturing produces twisted-in-wire abrasive nylon brushes for light deburring, surface finishing and cleaning of internal holes. 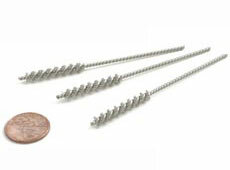 Also known as tube brushes, these abrasive nylon brushes are great for use on hand power tools or in CNC machining centers. 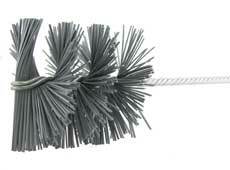 Available in a range of abrasive types and grit selections, our abrasive nylon brushes are suitable for a variety of applications. 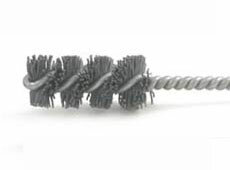 Our distributors can help you select the correct twisted-in-wire abrasive nylon tube brushes for your application. Contact a distributor today.